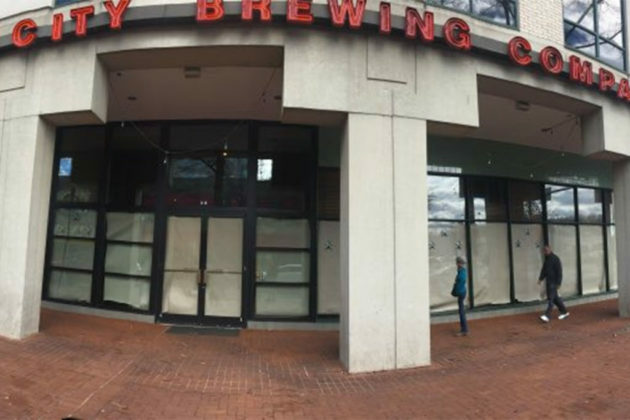 Update at 5:30 p.m. — A statement was just posted on the Capitol City Brewing Shirlington Facebook page, confirming that it has closed permanently. After 22 years of proudly serving Northern Virginia, we have had to make the difficult decision to close this location. We thank you for your tremendous support and loyalty over the years and for that we are truly grateful. Please visit us at our Downtown location (at 11th and H St NW) to enjoy our award-winning beers, great food and friendly service. 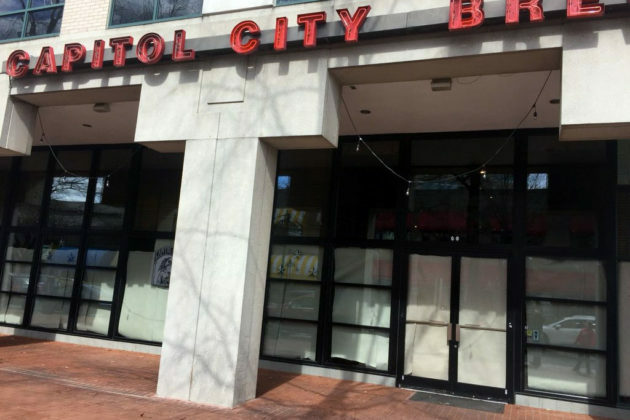 Earlier: Capitol City Brewing appears to have closed its Shirlington location, but it’s unclear whether the closure is permanent. 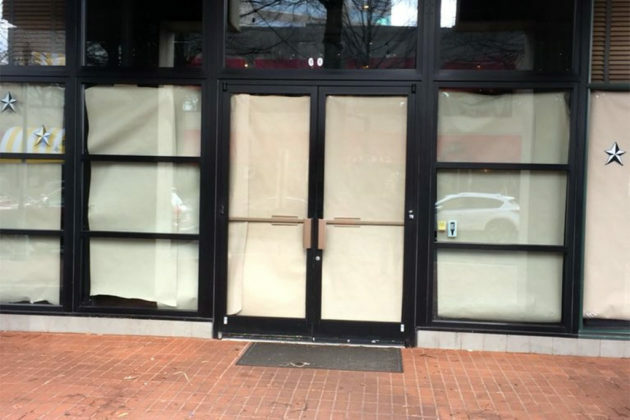 Paper covered the brewpub’s windows and its doors remained closed today. Nobody answered the phone as of 3 p.m.
Several tipsters have emailed ARLnow.com to say Cap City, located at 4001 Campbell Avenue, had closed. Some were upset, saying employees were abruptly told today, without prior notice, that it had closed. “Unless you live in Shirlington, apparently,” said one person, in return. “You freaking lying pieces of [poop emoji],” wrote another. 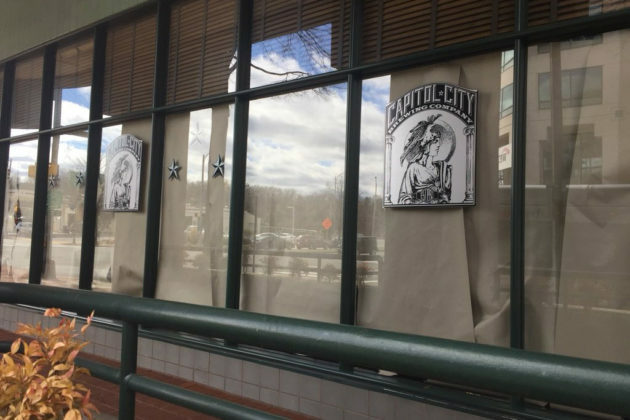 An anonymous tipster contacted ARLnow.com last week, advising us to “watch for Capitol City Brewing Company closing in Shirlington in early March.” Calls and emails sent to the company since have not been returned. A mainstay of the neighborhood, Capitol City has remained busy on most weekdays and weekends. The company also hosts the popular, annual Oktoberfest event in Shirlington.